I read this article and found it very interesting, thought it might be something for you. 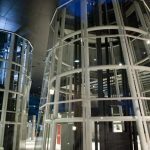 The article is called 10 Things To Know About Sendai Mediatheque and is located at http://trip-n-travel.com/listicle/13074/. 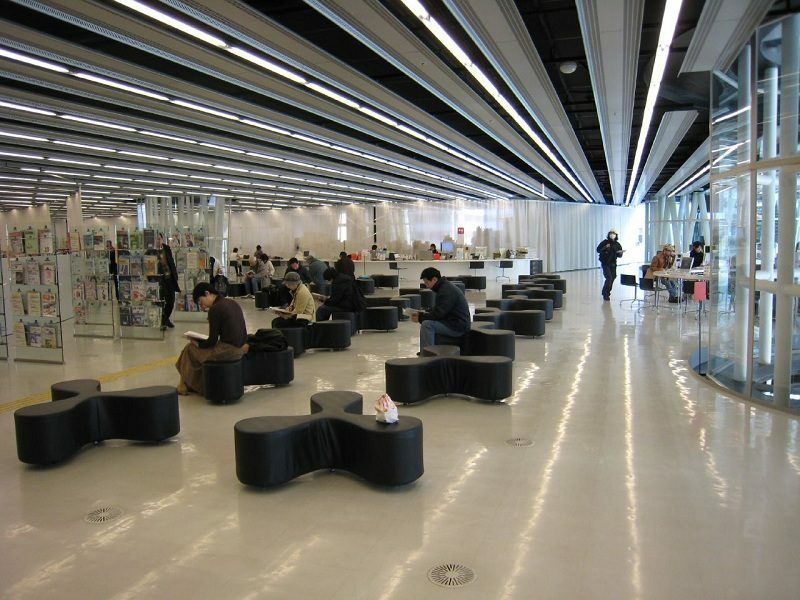 The Sendai Mediatheque is a top-of-the-line library in Sendai in Miyagi Prefecture, Japan. 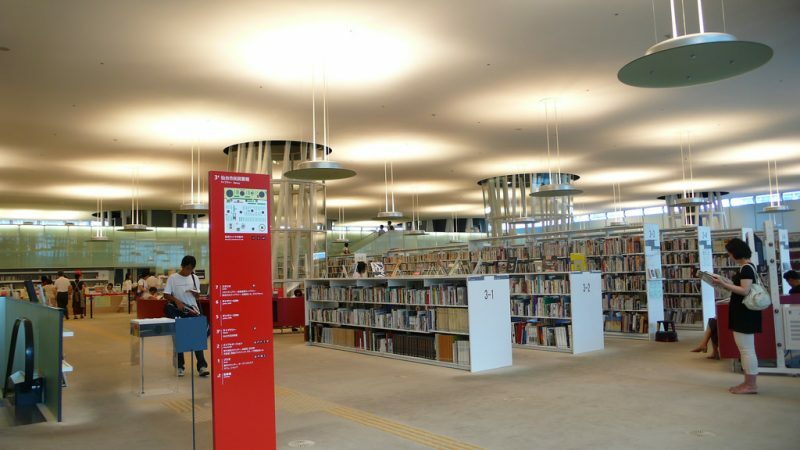 The library was creatively designed by Toyo Ito. The place was designed in 1995 and successfully completed in 2001. The original concept was rooted in the blueprint for a fluid area, which is a groundbreaking technology mentioned in a 1997 article in the Media Jungle. Rather than viewing this media as a far off element to nature as a whole, the architect-developer Toyo Ito decided to embrace new media. He calculated and computed a form that is very vital and an integral part of the modern urban atmosphere. The building was greatly conceived as a clear cube through the stunning skinny floor plates that float and suspended in an organic-looking seaweed-like tubes. 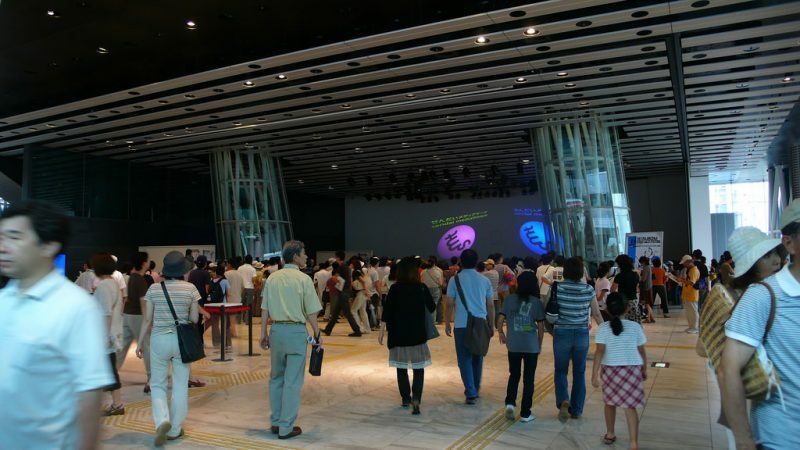 The Sendai Mediatheque held its official launch on the 26th of January 2001. However, the initial impetus for the creative project began way back in August of the year of 1989. This was when the Miyagi Prefecture government requested for the development of a brand new depository and archives in Sendai. Between 1989 and 1994, the site was a previous bus terminal before it was chosen for the new library project. The program was expanded to embody the replacement of a prevailing library. After a thorough public consultation, a creative arts competition was announced to call out for design for the Mediatheque. 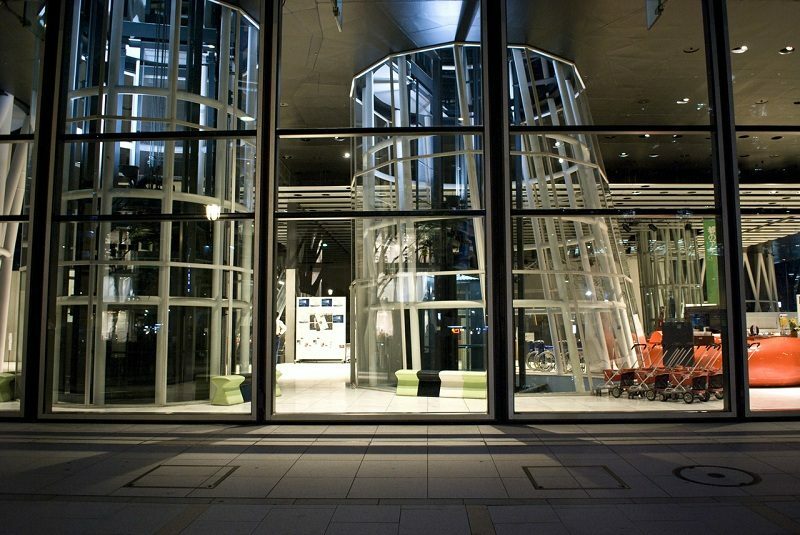 In March 1995, the winner was Toyo Ito and Associates Architects. He won out of more than 235 competing proposals. The official start of the planning was in the middle of 1997 and was completed in August 2000. 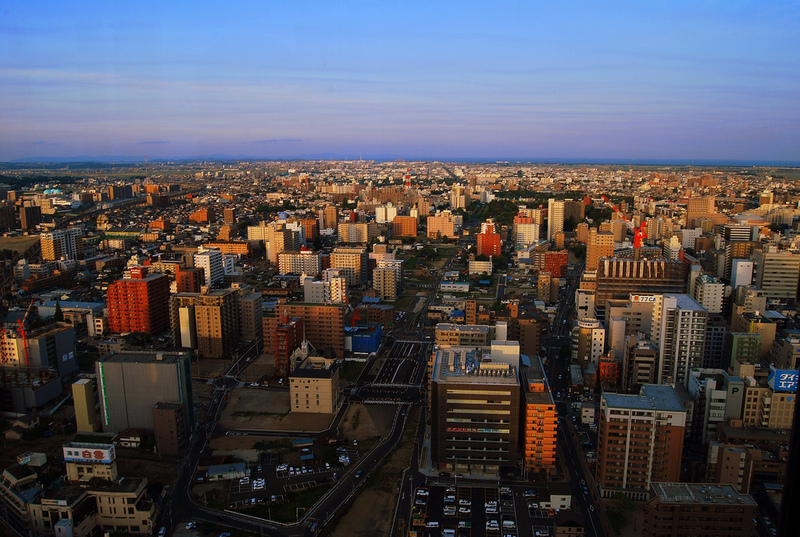 The Sendai Mediatheque is located within the central area or at the heart of the town of Sendai. It is only a few blocks, almost a stone throw away from the town hall. 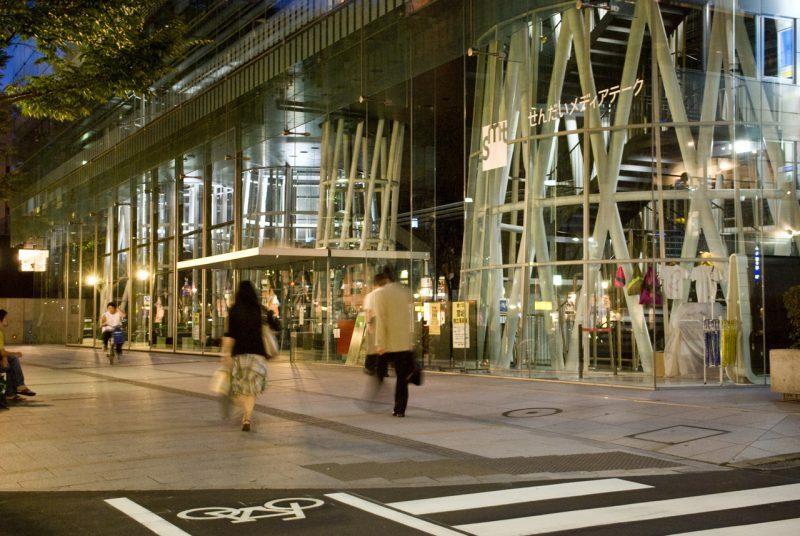 The building sits flush within the Jozenji street, which is in a 6 lane divided Sendai boulevard. The beautiful establishment’s metal façade and diaphanous glass differ from the chiefly white and opaque volume colors of the neighboring buildings. 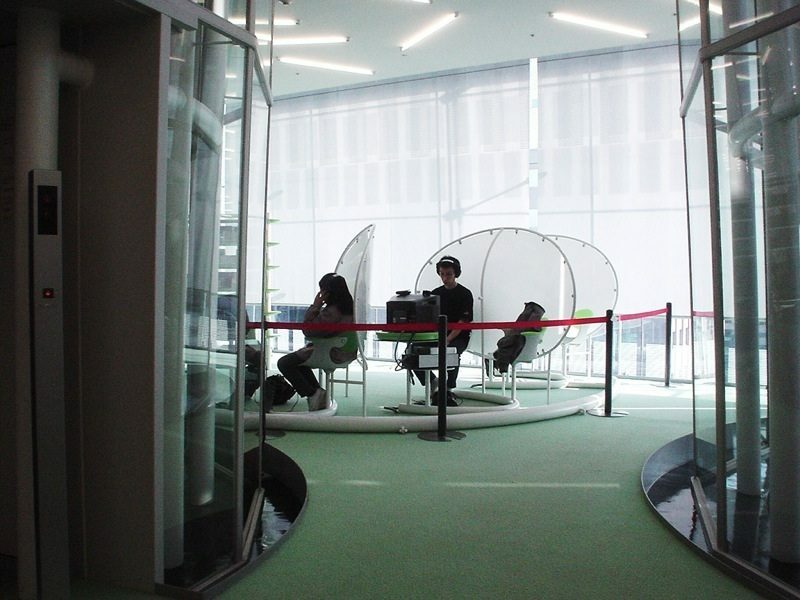 The Sendai Mediatheque is a mixed and multi-system open office It mixes library and other public room functions. 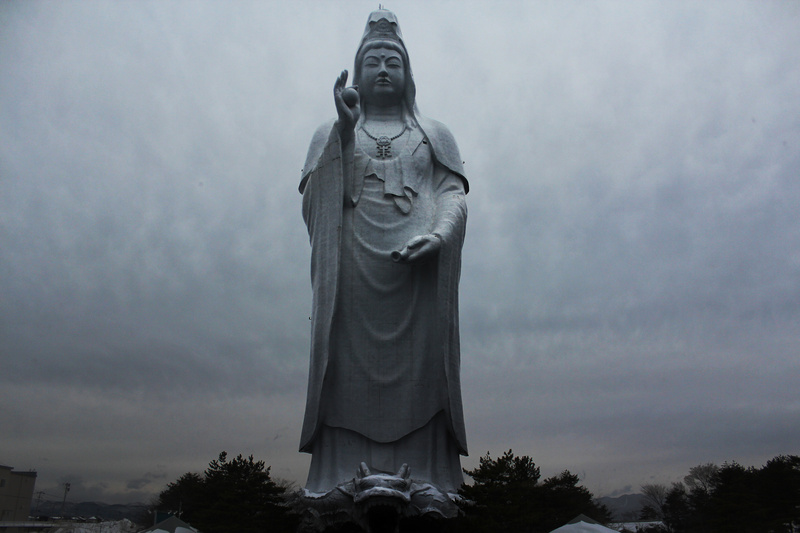 This makes it a good location which is located within the main town of Sendai, Japan. The architect Toyo Ito’s winning entry for the open competition was eventually commissioned by the town of Sendai in 1995. The innovative Sendai Mediatheque building eventually opened to the public in January 2001. The Mediatheque’s seven levels of facilities offer a wide range of functions that varies of services together with an intensive assortment of films, traditional book-lending library, and several audio recordings. There are also stations for each presentation, meetings, viewing, theater, store, and even cafe. These are all housed in a nearly cubic glass enclosure. Toyo Ito, in creating the Sendai Mediatheque, acknowledged that it would be an establishment dedicated to accommodating great changing technologies. 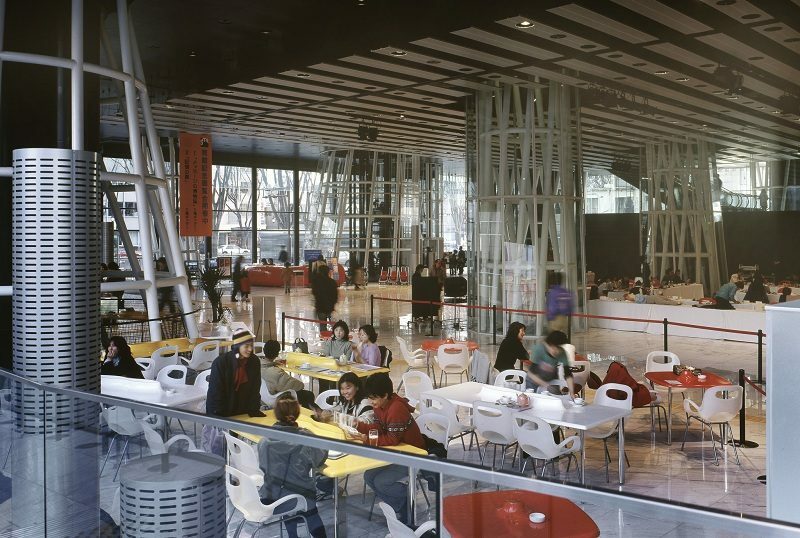 While the style of the Mediatheque is supposed to encourage the great flexibility of use through the blurring of boundaries found in depository typologies and ancient library, Toyo Ito insists on saying that the characterization of the area within the center is quite a universal or homogeneous space of modernism style. The Sendai Mediatheque architectural structure is composed of 3 main elements: skin, tubes, and then the plates. The floor plates slabs are made out of a honeycomb-like system of steel segments, filled with concrete. 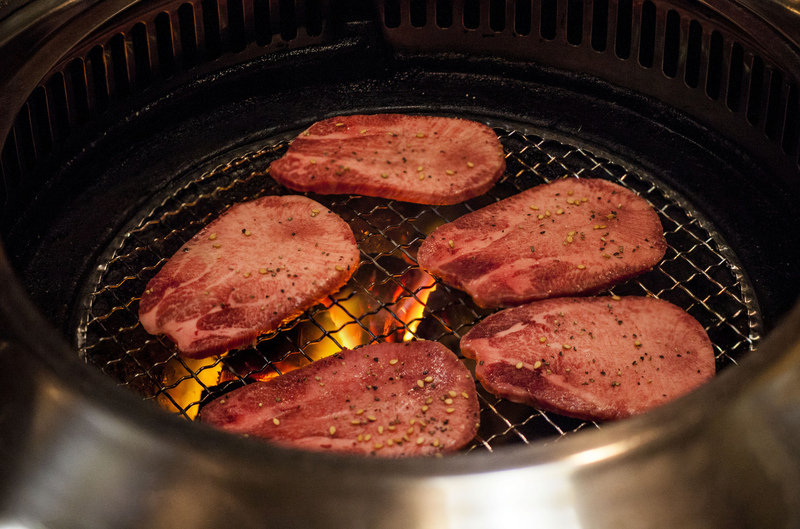 This is light-weight. 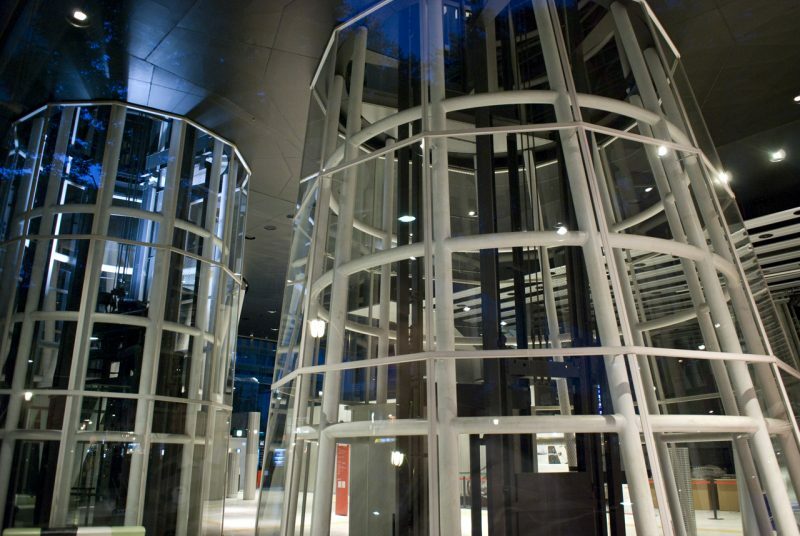 On the other hand, the size of every tube is decided by an internal function – which are the elevator, stairs, and light shaft. If you look closely in the plane of a particular floor, the non-standard layout loosely transforms the whole floor plan blueprint. Some of the functions on the first floor include shop, cafe, open square and info desk. At the second floor, you will see children’s library, multimedia library, meeting room, newspapers sections, a section for hearing and sight impaired. At the third floor is the library. At the fourth floor is the library mezzanine. The fifth floor has the public gallery, the sixth floor has exhibition space, while at the seventh-floor houses the theater, studios, and admin offices. You can reach Sendai Mediatheque by subway using the Kotodai-Koen Station . It is just a 3 minutes ride if you take the train. You can go by foot westward which can take you to 7 minutes. By bus, it is about a 10-minute bus ride from Sendai. 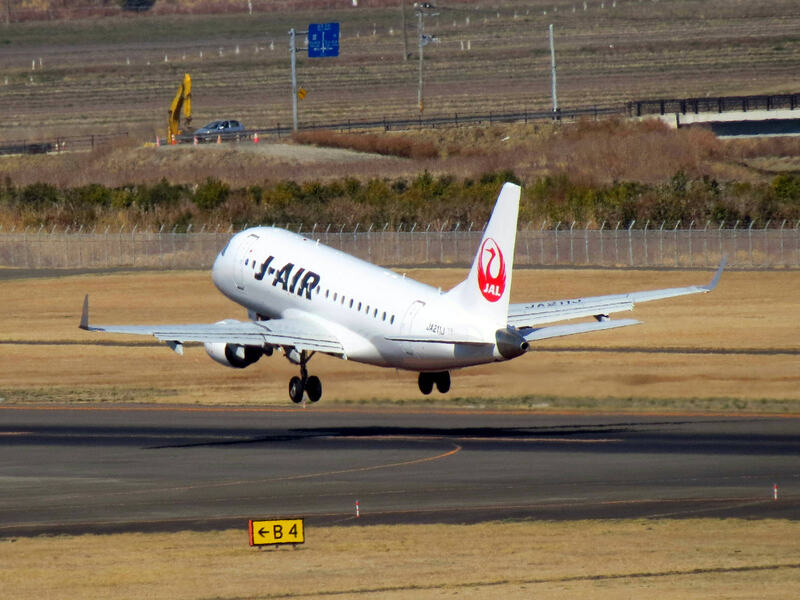 By car, it should take your around 12 minutes using the Sendai-Miyagi IC via the Tohoku Expressway.